Mat Depot makes the best chair mats on the market. Our products provide long lasting protection for carpets, such as loop or berber up to 3/8" thick including padding. They are great for moderate use in home and office. The lightly pebbled design offers you one of the smoothest rolling experiences you need to move freely while reducing leg fatigue at the same time. Multiple sizes are available in beveled or non-beveled models. See bullets and images for more details. 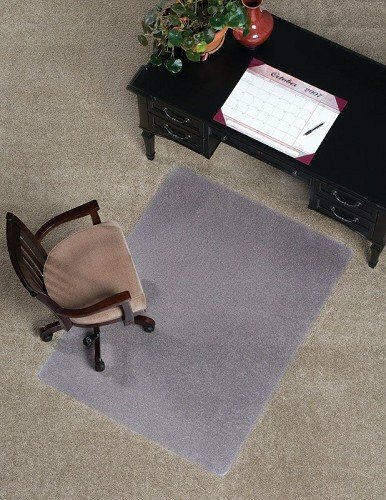 LASTING PROTECTION Protects low-pile carpets, such as loop or berber up to 3/8" thick including padding; great for moderate use in home and office. SELECT YOUR PERFECT SIZE Available in different dimensions with beveled or non-beveled edges. Some models available in black.